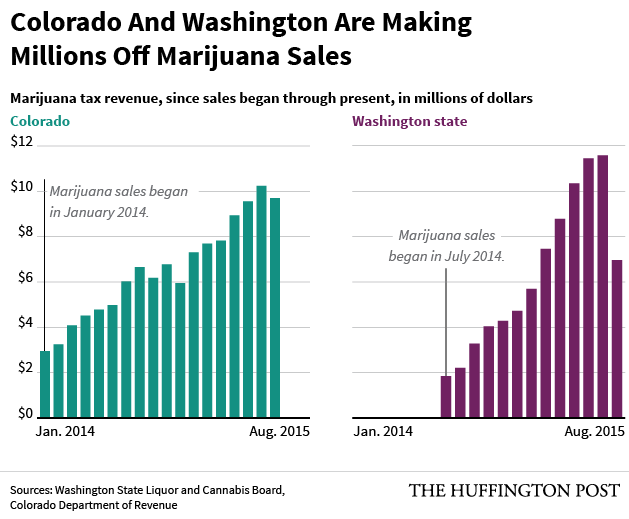 COLORADO: It’s heady times in the Mile High City, and that’s just at the state budget office. Colorado is on track to more than double the state’s marijuana tax revenues this year, showing up the $44 million collected in 2014 with a projected 2015 windfall of $125 million, reports The Guardian. The state hoped to collect $70 million in 2014, but fell short.